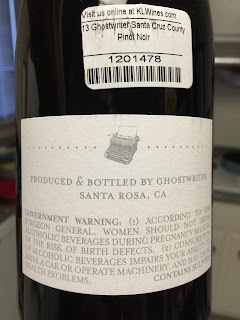 The Accidental Wine Snob: Santa Cruz County Designation? 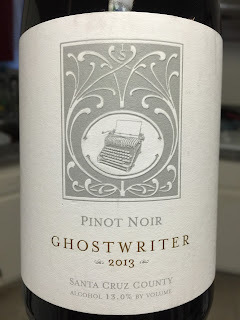 I purchased a 2013 Ghostwriter Pinot thinking it qualified for my < $30 SCM Pinot tasting. When I picked up the bottle I noticed it is designated Santa Cruz County. I don't see this listed as an AVA for California. Any ideas? At the Silicon Valley Wine Action today we got a chance to talk with Ghostwriter. She explained that this was a cuvee and two of the sourcing vineyards were not consider Santa Cruz Mountains because of their elevation.